Click here to find out when a Spartan Race is happening near you! Are you ready to climb walls, crawl through mud, throw spears, and do hundreds of burpees? Check out my Spartan Race review below to find out. Have you ever sat in a coffee shop and felt your mouth fall open as you overheard someone talking about scaling walls, crawling through mud under barbed wire fences, and climbing ropes that reach to the sky? No, you didn’t enter some alternate superhero reality. You’re just taking in the experience of a Spartan Race. I was talked into doing a Spartan Sprint on what turned out to be the only rainy October day that California saw that year. You better believe that the rain made the mud muddier, the ropes slicker, and the walls more daunting than I could have ever imagined. As if carrying buckets of rocks wasn’t bad enough, wet buckets of rocks was even worse. 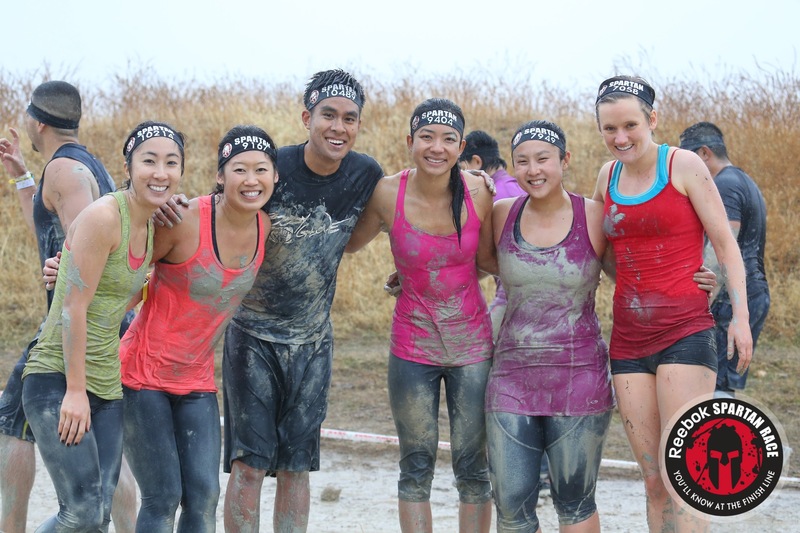 Are you ready for a Spartan race, but don't know what to wear? 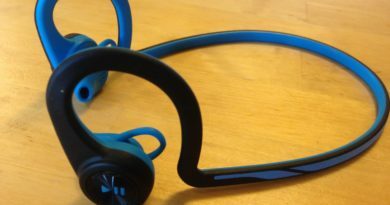 Check out my post about mud run gear to get you through your next obstacle race for some ideas. I would love to say I loved every minute of the Spartan race, but that would be far from the truth. Really far from the truth. There were moments during the event that I wondered if I had ever been so miserable in my life. At one point, I turned a corner to see yet another obstacle and just started cursing. 5 miles with a few obstacles here and there? I thought that would have been nothing for this marathoner. Boy, was I wrong. Despite how miserable I was during the Spartan race, it stands as something I’m very proud for having accomplished. As I realized afterwards, no one does a Spartan race because it’s going to be the most enjoyable experience they’ve ever had. These races are designed to be hard and push you to your limits. It epitomizes the phrase, “no pain, no gain.” It steals your ego from you, bashes it with a rolling pin and serves it to you on a silver platter. It makes you question, well, everything. But, when you’re done, you’ve learned you’re stronger than you ever believed. You’ve fought like hell to help yourself and others do something physically incredible. You’ve learned that anything’s possible. No matter how miserable I was during certain points of my S﻿﻿partan race, the feeling it left with me will always be worth it. If you finish your first event and realize you’ve caught the Spartan race bug, there’s a great opportunity to continue to challenge yourself through the Spartan Trifecta. Complete a Spartan Sprint, a Spartan Super, and a Spartan Beast in one calendar year, and you’ll earn a coveted place in the Spartan Trifecta Tribe. If you’ve ever done a Spartan race, you know this is no small feat and is a great way to challenge yourself. Whether you’re fighting for Trifecta honor, or lacing up your Spartan shoes for the first time, this series of races is unlike any other physical or mental challenge you’ll face. There’s no doubt these races are unique, and your mind and body will be questioning your sanity the entire way. Are you up for it? Here are a few things I believe set Spartan races apart and why I like them. Disclaimer: This post reflects my personal opinion drawn from my own personal experience with a Spartanr race. Every person’s experience during a Spartan race will be different and may not resemble what is presented here. The decision to sign up and complete a Spartan race is made consciously and autonomously by each individual, who takes responsibility for any and all risks or consequences involved. The Spartan race is known for its walls. Forget footholds or nicely manicured steps, these walls are countless feet of pure wood. Short of having superhero flying skills, these walls aren’t easily tackled alone. Something I love about the Spartan race is that it’s a given that you can’t complete it by yourself. While some participants belong on American Ninja Warrior and could probably scale all of the skyscraper walls in New York City before breakfast, the majority of participants need some help. You won’t be standing at the base of a wall for long before someone offers a knee to stand on, a hand to grab, or a head shake of sympathy and understanding. I remember standing at the bottom of a big hill. It had been raining steadily for half an hour at that point and many people were struggling to scale the hill without slipping. Did I mention we were all carrying large buckets of rocks up the hill? What was a difficult, yet manageable task, turned into a harrowing and almost insurmountable feat given the rain. Buckets were spilling, people were face planting, and rocks were cascading down the hill like children on an unfortunate sled ride. But, this wasn’t any old race. This was a Spartan race. And we were all determined to conquer this hill. Together. Forgetting individual success, one person would offer their leg to use as a brace for a bucket as its climbed. Realizing we all needed to work together, one person would give advice on footing, while another would show how to properly position the bucket for maximum comfort. We were strangers that had become teammates. 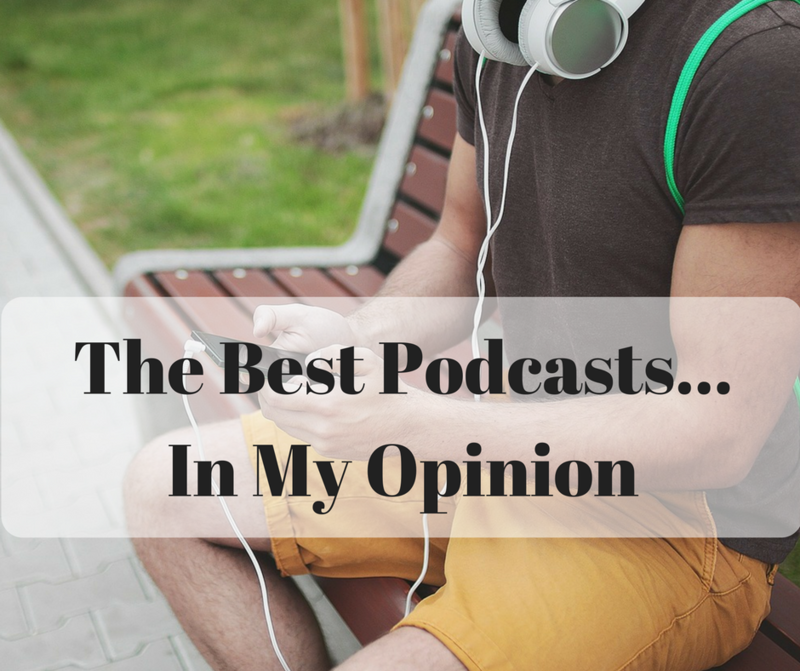 Looking for more reviews of some of my favorite things? Check out my review of Thrive Market! I have signed up for running races that are about getting it over with as quickly as possible. We run as though all we really want is the t-shirt and the pancake breakfast at the end. I have done many of these races and part of me really enjoys the competitive nature of them. A different part of me wonders why I spend so much money just to count every step to the finish line. I could do that for free any other day of the week. While I get a lot of questions about my marathon times, no one has ever asked me how long it took me to complete the Spartan race. Yes, they ask how many burpees I did, but never how long it took me to finish (burpees are a Spartan race consequence of not completing an obstacle). As an athlete, this is refreshing. For once, you don’t have to focus on the finish line, but on everything that happens before. When there’s so much happening during a Spartan race, it’s easy to forget there’s a finish line to begin with. To be honest, there were moments I was looking to the sky and praying for some divine intervention that would make a finish line magically appear, but that’s another story. Each obstacle of a Spartan race is a chance to challenge your strength, endurance, stamina, and determination. Instead of the obstacles being ends to a mean of finishing the race, they are ends in themselves. They are all battles worth fighting for their own sakes. After the event, everyone has a story about a specific obstacle. While one person will have fought a valiant fight against the climbing wall, another will be holding a personal grudge against the rope. The obstacles make the Spartan race more than just a race in which you hope nothing dramatic happens between the start and the finish. Each obstacle is a chance to feel victorious, proud, and strong. What I like about the obstacles in Spartan races is that they are all different and require different skills as a result. If you’re a superhero, this means you get to show off every physical and mental skill set you have. But, if you’re a mere mortal like me, it means you will get a good mix of ease and challenge; of success and failure. 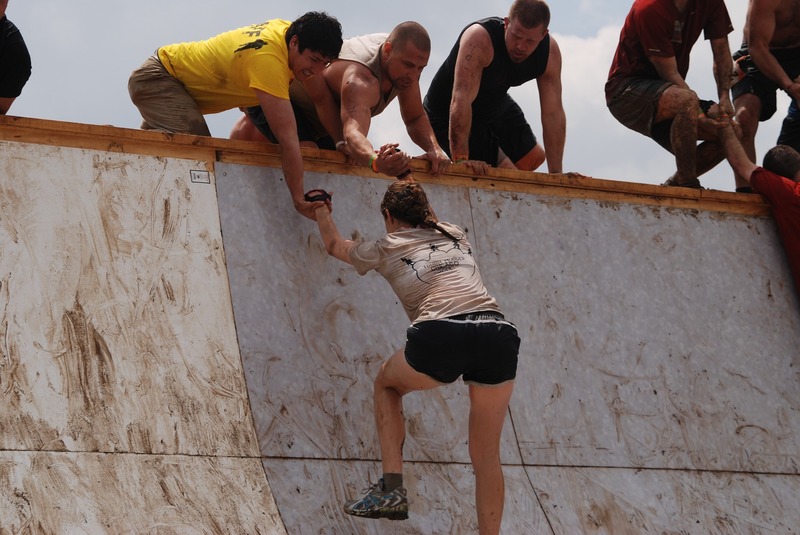 Obstacles vary from race to race, but they may include throwing a spear, climbing a wall, crawling under barbed wire, or barging through a mud pit. If climbing a wall isn’t your thing, the spears will be waiting for you around the corner. And, if neither of those appeal to you, you can always do burpees. While the race is a powerful experience overall, the obstacles offer a great opportunity to challenge yourself in a number of different ways before crossing the finish line. As we stood at the starting line, with rain starting to dribble down our faces, we began screaming. No, we didn’t scream the cries of terrified newbies, we screamed battle cries only earned by Spartans. “I AM A SPARTAN,” we yelled. We yelled, and yelled, and yelled, and yelled until there was no doubt we were Spartans embarking on an epic adventure. While running is great, it’s predictable. Even if you’re running a race in a new city, you know what your body will be doing down the road. This isn’t true with a Spartan race. One minute you’re throwing a spear, while the next, you’re crawling under barbed wire. While you can prepare by reading about the obstacles here, it’s likely that your first experience with a Spartan race will also be your first experience with many of the obstacles presented. And this is what I love about a Spartan race. No matter your physical capabilities or level of experience scaling walls, everyone enters a Spartan race with doubt about what challenges will be ahead. No amount of reading or practice will prepare you for the feeling you get as you stare at that first mud pit on race day. No matter your skills, strength, or expertise, you’ll enter the Spartan race with a sense of curiosity about what’s around the corner. This is not only a great way to approach a race, but also a great way to live life. 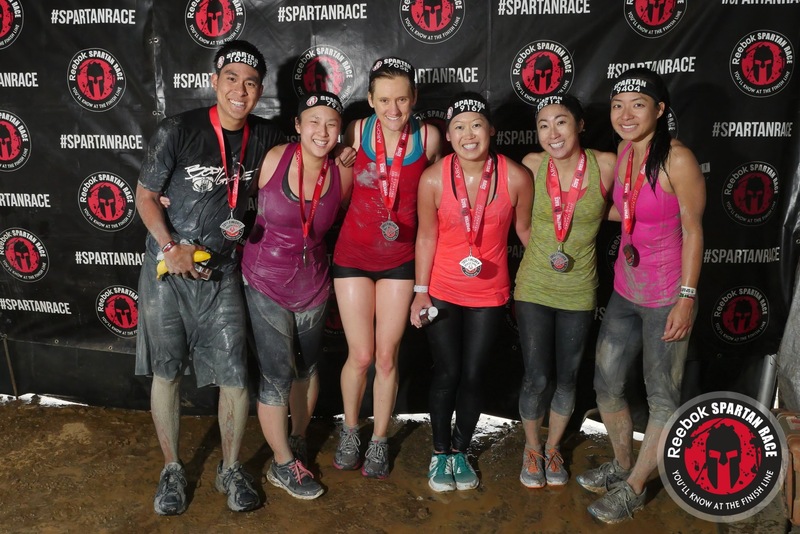 A question I hear often is, "How hard is a Spartan race?" 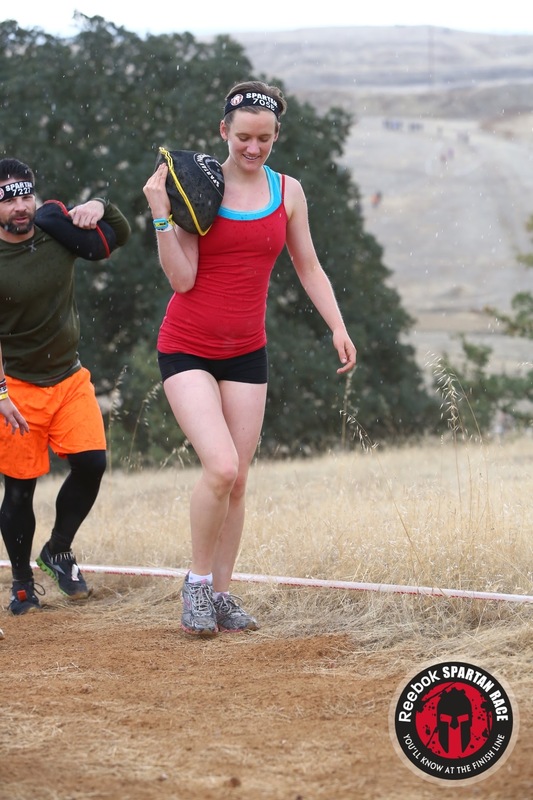 Well, If you haven’t figured it out already, Spartan races are hard. As someone who has run marathons, I showed up to this event with a naïve sense of arrogance about my abilities to conquer this course. As soon as I rounded the first corner, and saw the first obstacle, I knew that being so cocky was a mistake. Now, I’m not saying that running marathons is easy for me. I can still be found at mile 18 cursing everything in sight. But, at this point, running can sometimes feel like old news. There are times that running feels so routine that I can pull on my shoes, get lost in thought, and return to my doorstep 9 miles later as though I were in a trance. 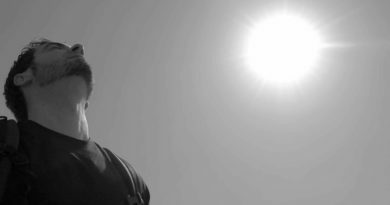 Good luck getting lost in thought during a Spartan race. If you’re an athlete that’s tired of the same old routine, this is the type of event that will push your abilities to the limit and show you what you’re made of. It’s hard. Really hard. One of the great things about overcoming hard challenges though, is that you get a whole boat load of bragging rights after. You can brag about your new accomplishments to your family, your friends, other competitors, your cat, your dog, your guinea pig, whoever and whatever crosses your path. You just conquered a Spartan race; you earned the right to brag. If you’re smarter than me and you want to actually train and prepare for the S﻿﻿partan Race, check out the book, Spartan Fit by Joe de Sena. In it, he offers a great amount of detail about every type of race you could sign up for and all of the obstacles you’ll encounter if you do. 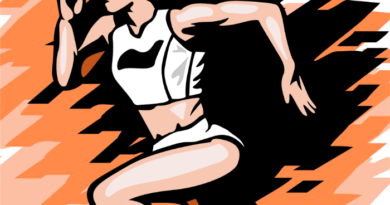 Following, he offers a 30-day training plan designed to get you ready for race day. What I love about this training plan is that it’s as varied and exciting as the race itself. While one day you’ll be asked to play your favorite sport, the next you’ll be running, doing push-ups, carrying sand bags, or any number of things to get your body in Spartan shape. If you’re ready to race like a Spartan, it’s a good idea to train like one too. This book will make sure that happens. 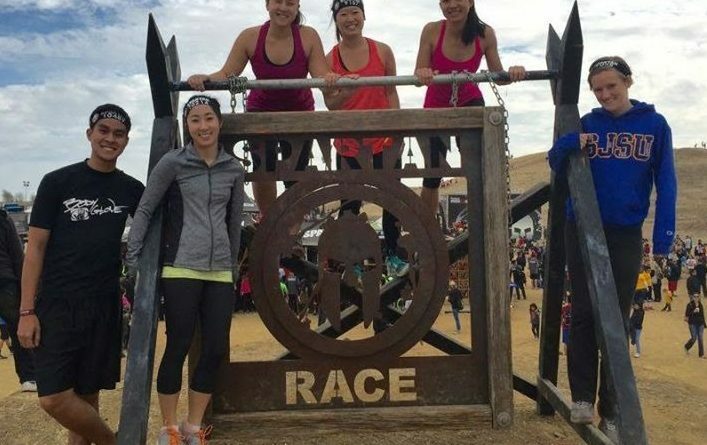 I went into my first Spartan race a little unprepared and uninformed about the challenges and obstacles I was going to face. While I’m glad I participated in this adventure, I also wish I had taken the time beforehand to give the race the respect it deserves. This is not a race I should have signed up for on a whim. Even though I’m praising the Spartan race in this post, I am by no means saying that it’s the right decision for you. Take time to research and review your options. Think about the physical challenge you’re about to undertake and whether your body is ready for it. There’s no doubt that a Spartan race is an epic journey that will give you bragging rights for years to come, but only embark on it if you’re ready to. Are you ready? If so, go ahead and sign up. Once you do, leave a message in the comments box so that we can cheer you on as you train. 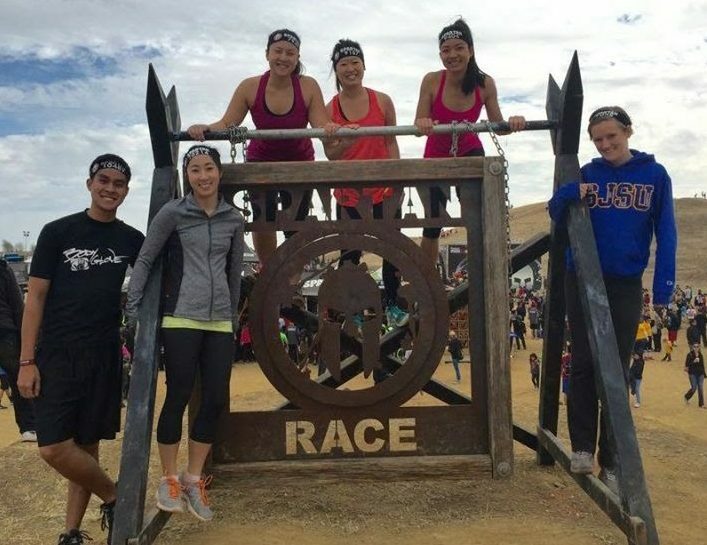 If you’ve already completed a Spartan race, leave a comment about your experience. As I’ve mentioned, the Spartan race creates a strong community that is passionate about supporting one another and helping each other succeed. This is what the Better Than Alive community is about as well, so I’m proud to be a member of both. Care to join me?